Processed sugars, refined flours, preservatives… These items have most likely comprised the majority of your diet for most of your life, whether you were aware of it or not. 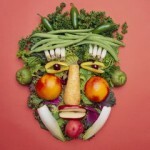 The raw food diet is concerned with stepping off the roller coaster that these foodstuffs can put your body through. While there is much information about the type of foods you can eat on the raw food diet, you may be wondering how the guidelines of this diet apply to beverages. For followers of the raw food diet, water and juices are the most popular beverages of choice; however, you should cast a wary eye towards bottled juices, as many are packed full of preservatives. 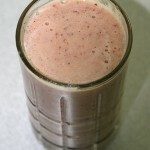 The best option is to make your own fresh fruit juice. The same can be said for raw smoothies. 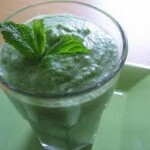 Raw smoothie recipes are an excellent alternative to traditional smoothies. Made from fresh fruit, they do not contain preservatives or sugars. 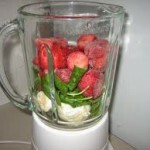 When you are making green or raw smoothies, do not use packaged purees, which tend to have sugars and food coloring added. Along similar lines, most forms of alcohol are going to be considered a no-no, but you do have the option of drinking organic wine, according to the raw food diet guidelines. In fact, a glass of organic red wine a day can actually be beneficial in lowering your chances of cardiovascular disease. Coffee and tea are on the outs under the guidelines of the raw food diet, but you will have the option of brewing your own sun tea. Sun tea is created by placing organic dried herbs in a gallon of filtered water. It is then left in the sun for 6-8 hours. The sun naturally heats the water to steep the herbs. You can experiment with different variations of herbs to choose the combination that best suits your taste buds. 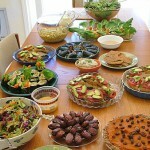 All this flavor and still within the raw food diet guidelines. We had juiced tonight, made of celery, kale, green apple, lemon, ginger, grape juice and cucumber. The taste was fresh and crisp, nothing like we’ve had before, only problem is, it didn’t come out to smooth, a little chunky. Any suggestions? We are using the Ninja Professional. Hi Kelly, using a dedicated juicer will give you the best “juicing results” a great entry level juicer that we have used before is the Breville JE98 you can read about it here http://www.brevilleusa.com/juice-fountain-plus-je98xl-949.html . 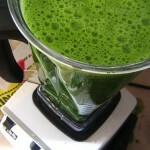 That said you can still juice with a blender but after blending you will always end up with a thick pulp based result. To separate the juice from the pulp you can strain through a strainer or cheese cloth / nut milk cloth. Hope you enjoy all the info we have here and share our site with your friends on Facebook 😉 thanks ! Will you get the same results? And what about fiber, you’ll lose that won’t you? Hi Kelly, correct you would lose fiber and other nutrients. 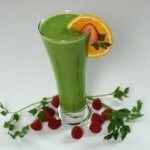 You mentioned you were juicing and that is different than a smoothie, two totally different things. Maybe a misunderstanding but if you are juicing you would remove a lot of the pulp etc and if your making a smoothie then yes you keep everything. If you were making a raw smoothie and it came out chunky then you can try adding a bit more liquid / water and blending longer. If the ninja isn’t blending it as smooth as you want it then you may need to upgrade to a more powerful blender like the blendtec or the vitamix. Hope that helps!